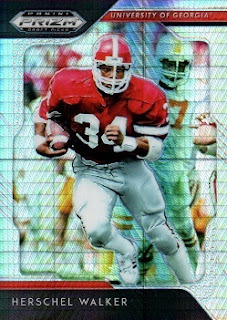 As I mentioned in the last post, I will be trickling in images of any Prizm Draft Pick parallels of Herschel I obtain. Above is the "Hyper" example. 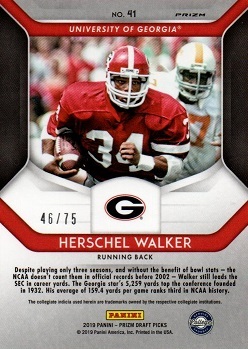 It is serial numbered to 75, with this example being #46.